Burundi is located in east central Africa along the southern border of Rwanda and sits at the top of Lake Tanganyika. The population is nearing 10 million people who suffer from extreme poverty, malnutrition, lack of medical care, poor schools and other serious problems. Most people subsist by farming a small piece of land under difficult conditions. The country is recovering from a 12 year civil war. Allow The Children works with a school for the blind and a school for the deaf in Burundi. There are very few educational opportunities for blind and deaf children in Burundi and even fewer means for them to hear the gospel. For deaf students, vocational sewing is taught. Blind students learn to craft baskets and other items that can be sold for support. These are supported through sponsorship. Rainbow centers in two locations receive abandoned babies and place them in Christian (African) foster homes. We have a sponsorship program for orphans who have been taken in by a family. All of these children are growing up with education, medical care and clothing provided through our sponsorship program. We hold pastor training seminars which are structured by the missionaries on the ground in Burundi. Church leaders are brought in several times a year for the training. We have a nice building with one classroom, a sleeping room, a kitchen/dining room and a small library. God’s Word taught to these men multiplies over and over for the people all over this country. Small churches in the villages can often make their own mud bricks and build their own church building until time comes for the roof. The roof is a huge one time expense for materials, delivery to the building site and installation. Funding a roof is a huge blessing for these believers and a significant investment in the ongoing ministry. 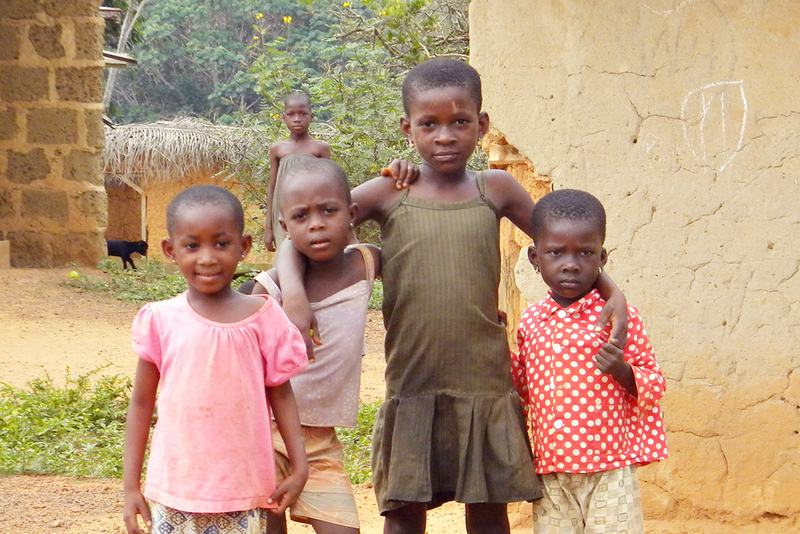 In January 2014, Allow accepted one wonderful project in the country of Ghana. A local church operates a school for community children of any faith who are not able to pay the fees to attend the government school. The school offers a basic education through the 6th grade level. Allow found 100+ children learning from dedicated teachers, but with little or no educational materials. Sponsorship for one of these children will provide a school uniform, consumable supplies and a good lunch. The remaining sponsorship gifts will go into the operating fund of the school for the benefit all of the children in the program. Guatemala is a Spanish speaking country in Central America. We are partnering with another ministry to bring physical and spiritual help to the people in this country. Our mission teams have built small (one or two room) homes, replaced the roof for an elder home, joined the ongoing construction of a hospital, made a home for a pastor in the lower level of a church — and one year, with three teams in succession, we built a church for a village. We have done painting and tree planting and unloaded containers — distributed shoes and clothing in villages — served meals and distributed bags of food — gathered children in the villages and taught Bible stories (with a translator) — we have done home visits and evangelistic meetings — preached, sung and given testimonies in churches. Our ongoing ministry is sponsorship for children in one orphanage and one village project. Allow The Children began ministry in Haiti in 2013. The poorest country in the western hemisphere, Haiti is still recovering from the 2010 earthquake and 2012 hurricane. Immediately after the disasters, large organizations came in and distributed tents, food and medicine. Most of that has ended now, but the suffering continues. The children exist in bare minimum circumstances, surrounded by the poverty that is common in Haiti. We are keeping them fed and clothed and in school. They are learning of the Savior who loves them, with the hope that each will grow up to be mightily used by Him in the future. Sponsoring children of pastors is something we do in all of our ministry countries and Haiti is no different. It helps share the load of these men as they serve the Lord in very difficult circumstances. Nepal was the first country where Allow began and is still our largest ministry work. We minister through children’s homes which bring in Hindu and Buddhist children to hear the Word and receive daily discipleship. We have sponsorship programs under partner churches which help meet the needs of widows and impoverished believers, especially providing education for children to help rear a new generation of missionaries and godly leaders. We also fund projects such as medical clinics, pastor training, evangelistic outreaches with the Jesus video, and providing Bibles for churches and evangelism. Nicaragua is the poorest county in Central America with half of the population living in poverty. Crime in Nicaragua is very high. The work of Allow The Children in Nicaragua is centered on the pastors of the Island of Ometepe. We host several Bible training seminars per year and evangelistic/discipleship meetings in the churches. We also sponsor children of the pastors, joyfully joining with them in their ministry to the people.